Science and entrepreneurship combined are creating innovative solutions to global challenges. 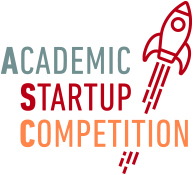 The Association of Universities in the Netherlands (VSNU), the Netherlands Academy of Technology and Innovation (AcTI) and Startup Delta challenge all Dutch academic institutions to put forward their best academic startups to battle it out in the Academic Startup Competition 2019: The 10 Dutch Pioneering Innovations from Science, whilst showcasing the next generation of breakthrough technologies. During the competition, academic startups pitch their innovative ideas in 5 minutes, attempting to gain YOUR attention and interest. The jury committee will then select their 10 winning startups, who will get the opportunity to present themselves at the Global Entrepreneurship Summit 2019. Have a look at our website to read about the latest news and find out about the nominated startups!